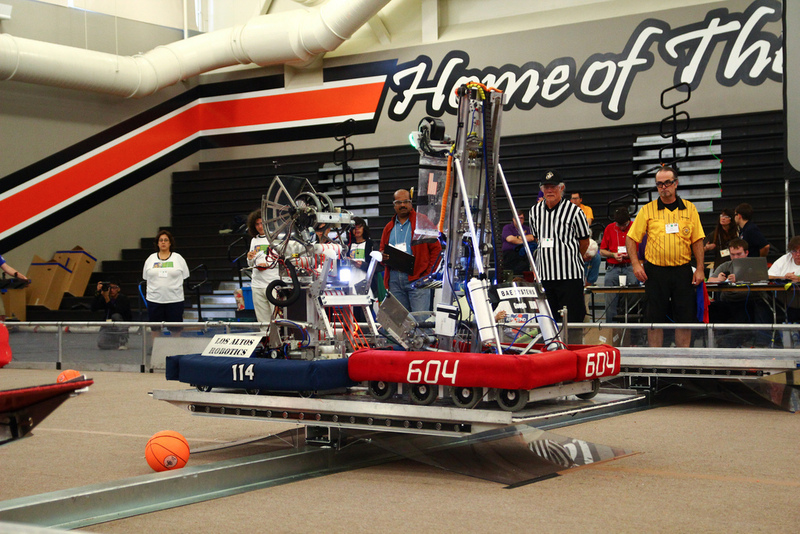 Following a summer full of demos, FIRST Team 604 kicked off the 2012-2013 season with successfully competing in the WRRF Off season competition – CalGames. 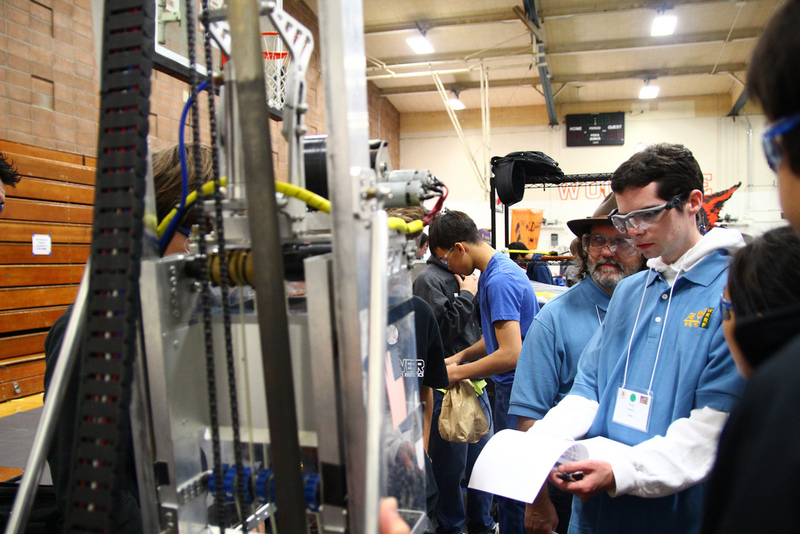 In preparation for CalGames, the decision was made to repair worn out components and secure all components to give our team the best edge for at the competition. The programming code was also updated to improve the accuracy of the vision processing to improve our aim. This held true for most of the competition. 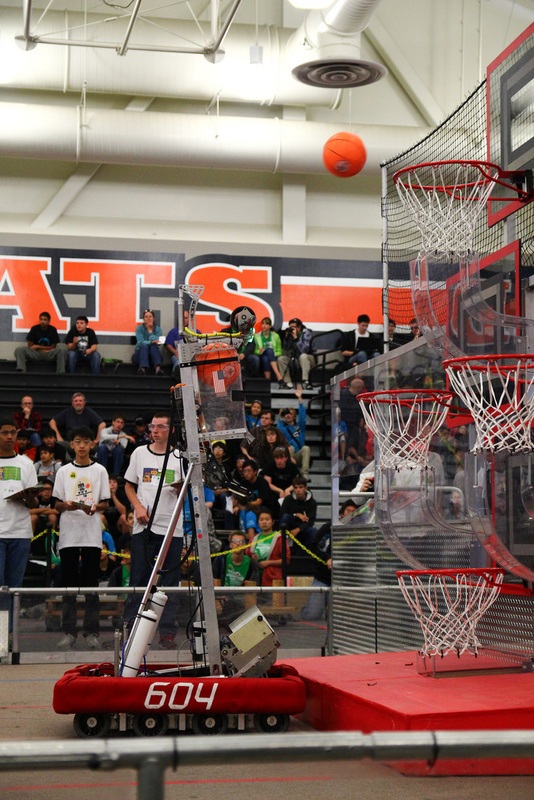 After being ranked at the 9th seed, we were chosen to join the 5th seed alliance with FIRST Team 2073 Eagle Force from Pleasant Grove High School and FIRST Team 701 the RobotVikes from Vanden High School. Despite the alliance’s strength we lost in the Semi Finals against the first seed alliance, composed of: FIRST Team 971 from Mountain View High School, FIRST Team 254 from Bellermine College Preparatory and FIRST Team 766 from Menlo-Atherton High School. This alliance would go on to win the entire competition. However the defeat did not last long, when we found out we won the Entrepreneurship Award and were the first runner up to the AMD Cal Award. On November 10th, we are scheduled to host the 4th annual Quixilver Qualifier at Leland High School. We wish all the teams attending our competition best of luck.